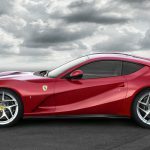 For those of us saddened by the end of production for the F12 Berlinetta, Ferrari has announced its successor that will surely soften the blow. 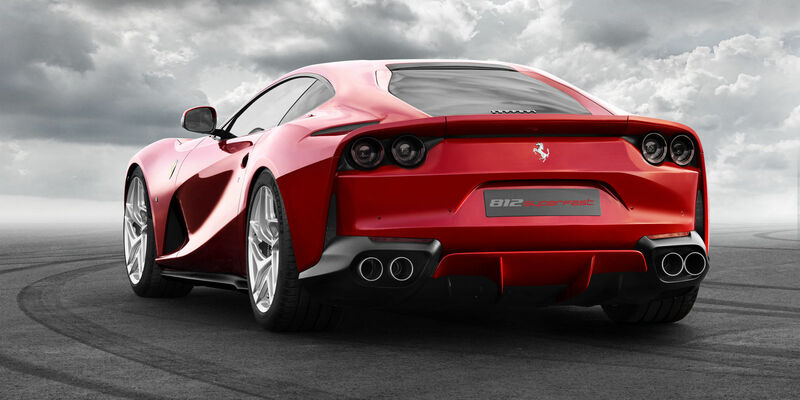 They are calling it the 812 Superfast and that last bit is not just a clever marketing name. That’s because this 812 is being marketed as the fastest production Ferrari with the most powerful naturally aspirated V12 the company has ever built. I know what you’re thinking but we all know the LaFerrari is not really a “production” car. 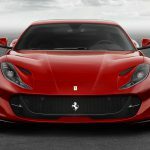 Ferrari debuted the 812 at the Geneva Auto show yesterday along with announcing some of the key specs and features of the new model. On paper, this thing is showing all signs that it’s a fantastic car. 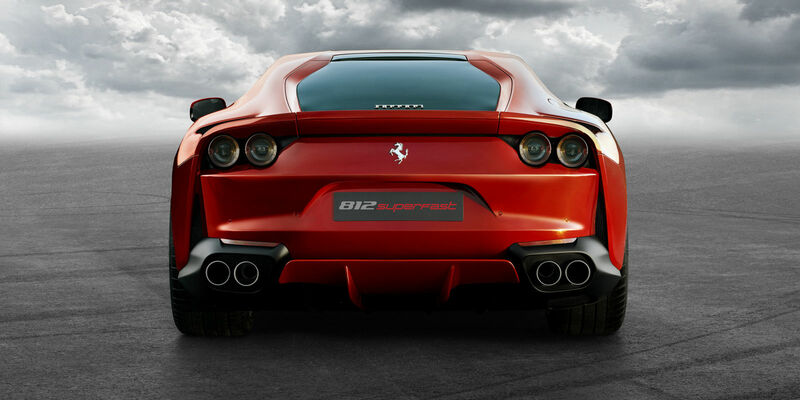 If the performance can match the stunning good looks of the Superfast, we Ferrari enthusiasts are in for a treat. 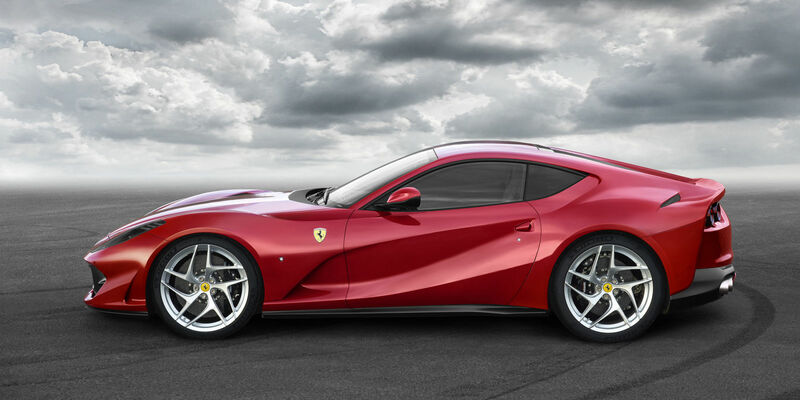 According to Ferrari, the 812 Superfast is aimed directly at clients that demand the most powerful and exclusive Ferrari in the range. It will be the sports car that will provide an exhilarating and uncompromising driving experience both on the track and regular roads. They also say it will be comfortable enough for use as an everyday car. 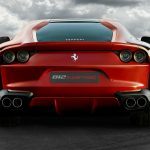 It’s a bold move for any car company to name one of their cars “Superfast.” But if there ever was a company that has the capabilities to back that up, Ferrari would be it. Let’s talk about this motor because it’s one of the hottest topics regarding the new car. Not only is the 6.5L V12 that’s front mounted in the 812 the most powerful naturally aspirated V12 that Maranello has ever produced, but it’s also rumored to be the last N/A V12 Ferrari will ever produce. That’s because of all the rumors flying around that are saying before long all Ferrari models will a hybrid system of some sort. The specs for this motor are impressive, to say the least. The high-revving V12 will produce 789hp and 530lb-ft of torque, which is estimated to produce 0-60 times in under 3 seconds. That’s almost 60hp more than the outgoing F12 Berlinetta and 20hp more than the previous top dog, the F12tdf. Some of the key points about this new motor are that it will apparently provide 80% of the power at just 3,500rpm. And it will continue to do so until it reaches peak power around 8,500rpm. 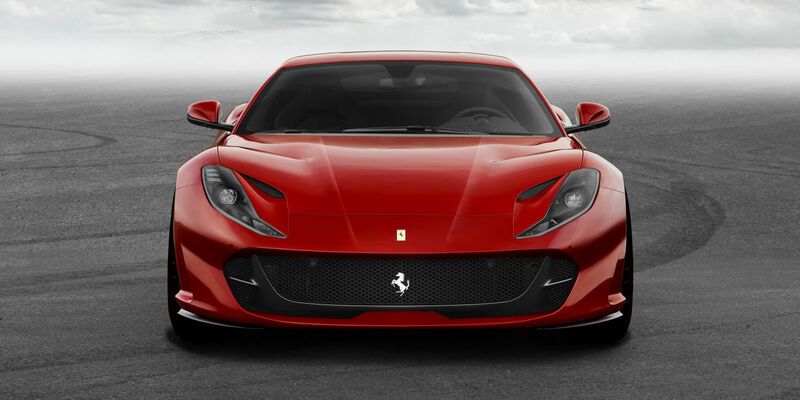 As you can imagine, the 812 is jam-packed with technology in almost every aspect of the car. 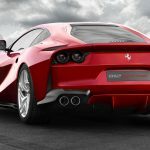 For example, the 812 will be the first Ferrari ever to come with electronic power steering versus the standard hydraulic steering box they normally use. That’s a big change for a company that’s entire reputation is based on not only how fast their cars are but also how well they handle. However, according to Ferrari engineers this new setup is something really special. The Superfast has also been fitted with all sorts of subtle design cues that are intended to hide the active flaps that are said to increase downforce. 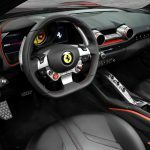 Other key additions include an upgraded four-wheel steering system borrowed from the F12tdf that Ferrari calls the Virtual Short Wheelbase. They’re also adding in what will be the fifth generation of the Side Slip Control, or SSC, which is just another term for a badass drift mode to help you drift and powerslide with the best of them. Both the interior and exterior of the car have been totally revamped. 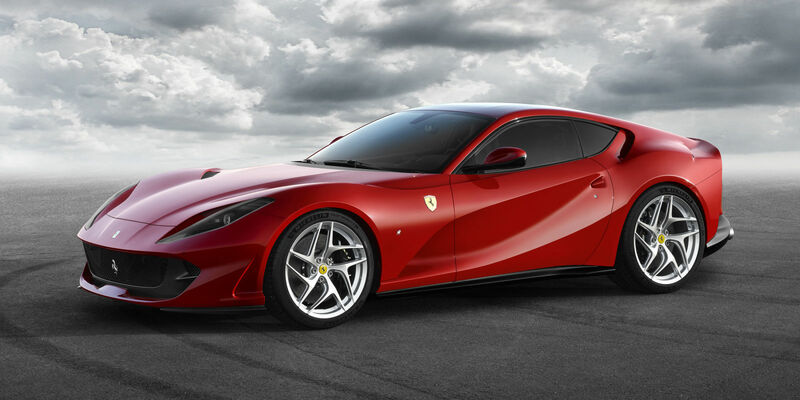 To mark the company’s 70th anniversary they are launching the 812 in a new special color called Rosso Settanta. It might seem like regular old red, but I bet if you had a side by side comparison it would stick out like a sore thumb. 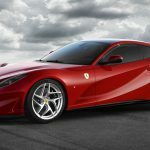 It’s alwasys bittersweet to see new Ferrari models being debuted because that means an old one has been discontinued. Even though I tend to lean more towards the mid-engined Ferrari’s like the 488, 458, and F430. The F12 was my favorite of any of the front-engined models before it, well technically the F12tfd but still an F12 nonetheless. So as sad as I am, I’m starting to feel a lot better because from what I can tell, everything about this new 812 Superfast is going to be something really special if it all comes together in harmony. And if there’s one car manufacturer known for “harmony,” well that of course would be Ferrari. From certain angles, the backend is showing attributes of the FF. Not sure how I feel about that yet. Ferrari designers run out of ideas and build the C8 corvette.